Garnet Blast Media/Abrasive is one of the very best abrasive options for many blast shop operations. Some of the benefits are listed below. 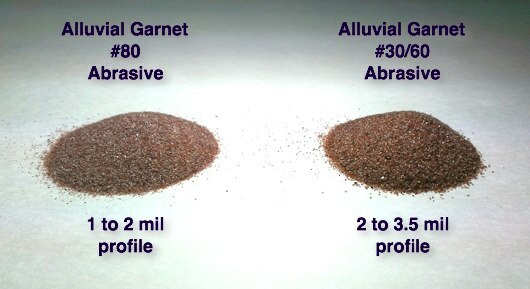 High Speed, very Low Dust and the lowest Consumption rate compared to conventional abrasives highlight the advantageous of Garnet. Some of the other benefits are listed below. Very high density - 145 lbs/cu. ft. Please contact us or call us at 314-241-5333 for additional information on garnet blast media and to obtain a price for you application.